You are here: Home > What does your poop say about your health? Poop is a bad potty word with my kids but it is common talk with my clients. Your bowels actually say a lot about your health. Your digestion is one of the most important components of your metabolism so your bowels can be directly related to your weight and many other health issues. If your bowels are off, you definitely need to read my article and fortunately, there are many ways to improve your bowel function and metabolism. Stress/Anxiety: Your mental health plays a huge role on all systems in the body, including your digestive system. When your stress levels goes up your hormones are altered, causing changes in digestion speeds, and puts pressure on your intestines causing your bowel movements to be out of the ordinary (diarrhea, constipation, gas, IBS). Medications: There are many different medications that can have an effect on bowel movements in the body. Here is a list of types of medications that can have an effect on your bowels. Diet: Your diet can definitely be linked to problems with bowel movements. Like I always recommend, whole foods are definitely the best and easiest for your digestive system to break down. Highly processed, fried, and simple carbohydrates can negatively effect your bowels leaving you either constipated or causing diarrhea. Dehydration: Our bodies are made up of 50-75% of water so when we deprive our bodies of water we slow down our digestive tract causing constipation. It is important to stay hydrated to keep the food moving through your bowels throughout the day. 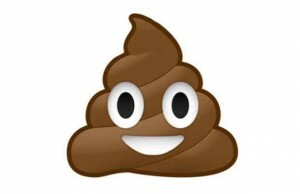 Optimal Poop = A healthy poop usually is a shade of brown or possibly a greenish brown. It should release easily and the optimal poop is the size of a banana. Everyone is different but if you are eating enough dietary fiber in your diet you should be pooping 1-3 times daily. Sticky Poop = You can often tell this when there’s “skid marks” on the bottom of your toilet. This can be an indicator that you are consuming too much dietary fat in your diet and therefore cholesterol. Sticky poop can also be an indicator of a food intolerance to gluten or dairy. Maybe try eliminating one of the two and see if your poop changes. Poop that Floats = Poop that floats is a sign that you have a high fiber diet. The interaction of fiber and bacteria causes gas which allows the poop to float in water. Heavy Poop/Poop that Sinks = This may indicate that you need more dietary fiber in your diet. Try eating dark leafy greens, beans, nuts, etc. Boost that dietary fiber! You’ll poop will be floating in no time. The Infrequent Pooper = This may also be known as constipation or “rabbit turds”. Everyone’s body is different and some people poop less often than other people but if you tend to lean towards constipation (longer than 2-3 days without a BM), then this is unhealthy, toxic and inflammatory. Increase your intake of dietary fiber and drink more water to get things moving in your bowels. Odd Colored Poop = All shades of brown and sometimes green are normal. Your poop is influenced by what you eat as well as how much bile is in your poop. Bile is produced by the liver aiding in the digestion of fats. How do I improve my bowel movements? Eat dark leafy greens, fruit, beans, whole grains (preferably gluten-free), nuts, seeds, flax seeds – fiber, fiber, fiber! Probiotics are a great nutritional supplement that naturally help bulk up the stool by providing billions of good bacteria – I am a huge fan! One third of our stool is composed of living and dead bacteria. My basic maintenance Probiotic contains 8 billion good bacteria – 1-2 a day usually makes a difference in your bowels. I also have a high potency Probiotic with 50 billion good bacteria for significant GI problems. Detox your body and get rid of harmful toxins by using my detox program – it makes a huge impact.